In the telecommunications industry, your server room, storage and data input/output facilities are the nerve center of your entire operation, and defending it against the most likely danger—fire—is nothing short of mission-critical. Which is exactly why China Telecom, LTD recently added electrical cabinet fire protection to its defenses. A leading provider of mobile telecommunications, Internet and data access, and other value-added services, China Telecom is well aware of the costs of service disruption both in terms of immediate losses and competitive positioning in the marketplace. 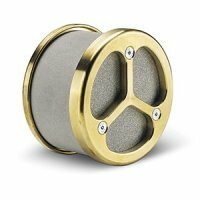 It has long run one of the most effective full-room and building fire protection operations in the industry in order to defend against that kind of damage. At the vanguard of this industry, China Telecom's facilities management is always on the lookout for technological innovations that can further enhance the protection of its vital operations. As a recent test and deployment demonstrate, they found it—in low-pressure indirect electrical cabinet fire suppression systems that help stop bad situations from getting costlier than they need to be. Save the Cabinet, Spare the Room? 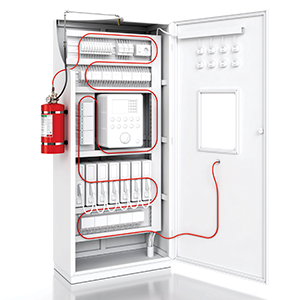 For those just tuning in, electrical cabinet-based object fire suppression systems are designed to protect against fires either from directly within, or indirectly just outside, the electrical cabinets that power your data centers, server rooms and more. And there's good reason. From 2010 through 2014, an estimated 32,960 non-home fires were attributed to electrical distribution and components, sparking $1.2 billion in direct property damage, according to a 2017 study from NFPA. 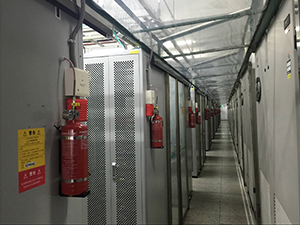 China Telecom's extensive fixed installation systems for building and room fire protection have proven critically important in protecting its facilities. But with an eye toward continuous improvement, the company was looking to enhance its defenses even further. Working with Rotarex Firetec, China Telecom's scenario planning addressed a key question: Should a fire break out within a single electrical cabinet, why not stop it at the source—before the fire can damage surrounding equipment, and before the situation escalates enough to require your total flooding systems to be actuated? "When a fire breaks out, response time is the key factor," says Stanley Wang, a marketing manager for Rotarex Firetec China. "Here, two things needed to be considered in parallel: Fire suppression systems should be as close to the source of fire as possible, and both detecting and suppressing a fire should happen as rapidly as possible." In this case, the architectural structure of the facility and the distribution pattern of equipment made for relatively tight application conditions. The Rotarex team determined the best solution would be a FireDETEC pre-engineered indirect electrical cabinet fire suppression system using HFC-227EA, a clean agent that doesn't leave discharge residue. These systems use pressurized, linear pneumatic tubing that extends into the cabinet and bursts the moment it detects a fire. 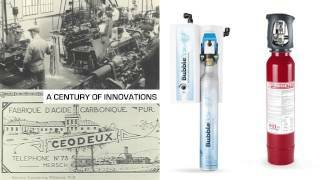 The sudden tube depressurization actuates the system and instantly floods the entire cabinet area with extinguishing agent, reaching where room protection systems cannot. As a result, fire is quickly snuffed out just moments after it begins, minimizing damage. And room-based systems don't have to be actuated more than is absolutely necessary, helping to accelerate incident recovery times and ensure the business continuity China Telecom requires. "With the FireDETEC system, there was no need to dedicate a storage room to house cylinders full of fire suppression agents," says Wang. "With these systems, small extinguishing agent cylinders are affixed to electrical cabinets, so they can fit easily within available spaces while delivering reliable performance." Indeed, after a 1-year field test that happened to include a real-world fire that was instantly extinguished thanks to the system, China Telecom gave Rotarex the greenlight to install 300 FireDETEC units in its facilities nationwide, including Shanghai Telecom, Jiangsu Telecom and Anhui Telecom in 2017. This year, additional installations will begin at Guangdong Telecom, Funjian Telecom and Guizhou Telecom. "Based on the specific local conditions of each facility, we began by creating an action plan for finding the most cost-effective solutions for each scenario," Wang says. "That included a step-by-step process for analyzing the specific challenges each facility faced in protecting against fire damage." So far, this has translated into increased protection at China Telecom's facilities—helping this industry leader deliver on its commitment to always-on, always-available services for its customers.